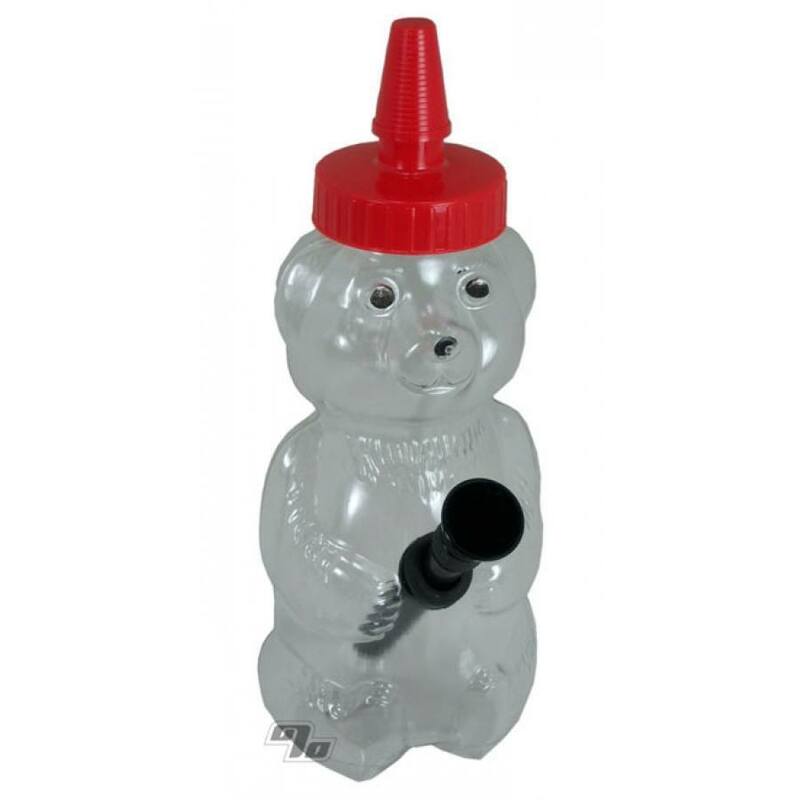 This is the one and only Honey Bear pipe from one of our favorite movies of all time, True Romance. Use the Honey Bear Pipe with or without the top. You can reference Brad Pitt's performance for instruction. Looking for the perfect gift which says you care while easy on the wallet? If so then it has to be the Honey Bear. Dressed here in the classic colors of Communism and Che Guevara t-shirts everywhere. If you don't think capitalizing on a Communist is funny feel free to make up your own story. Worth every cent almost want another one for the hell of it. These things are amazing! My "daily driver" b*ng had a cat fall on and it broke. Yeah you read that right. After it broke I remembered this little thing, I bought one of these 2 years ago and gave it to my sister when I bought my now broken b*ng. We absolutely love this baby. So I bought 2 more of them one to replace broken b*ng and to give one to my sister. I love this bear. It works great and is a good conversation starter. I just wish it was easier to clean. Great Quality, Fun and easy use. First pipe I order from here. Lots of fun and neat to look at. I fill mine with ice, great chillin' smoke.